Lalit Kishore, MD of Lotto India Sports Lifestyle (LISLPL), the master franchisee of the Lotto Sport brand in India, has soft-launched his own sports and lifestyle shoe brand Globalite to fill what he perceives as a void between international and local brands. The Globalite brand will target middle segment urban youth who aspire for international brands but are not yet able to afford them, he said. Middle-income consumers in India, Kishore said, will lead future growth in consumption. To cater to this segment, his new venture, Globalite Industries (GI), will be run as a separate entity. There will be “no conflicts” in the two businesses, he said. Although the exact date of Globalite’s launch is not known, all Kishore would say in this regard is that the new brand took off “in recent months”. Globalite is already being supplied to 1,000 multi-brand stores through GI’s 30 distributors. Globalite is also being sold by wholesale retailers like Metro Cash and Carry, Bharti Walmart and Carrefour. “The gap after the top three players in the market – Nike, Adidas/Reebok and Lotto -- is huge. Local brands are not able to provide an alternative to these international brands. We are trying to build a homegrown brand that provides sports lifestyle and running shoes at affordable prices, as opposed to international brands in the market,” he said. 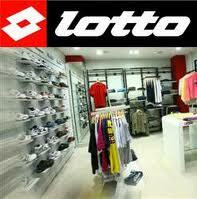 Italian sports brand Lotto was launched in India in 2007. Kishore’s LISLPL is in a 15- year contract with the brand’s parent company Lotto Sport Italia, maker and distributor of footwear, clothing and accessories for soccer, tennis, running and leisure. Kishore said Lotto was growing as per expectations in India and run by a team of senior professionals. 0 Response to "Lotto India head floats own shoe brand"